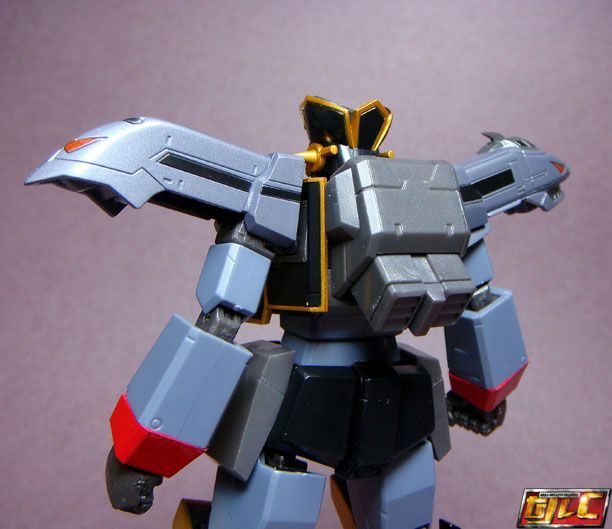 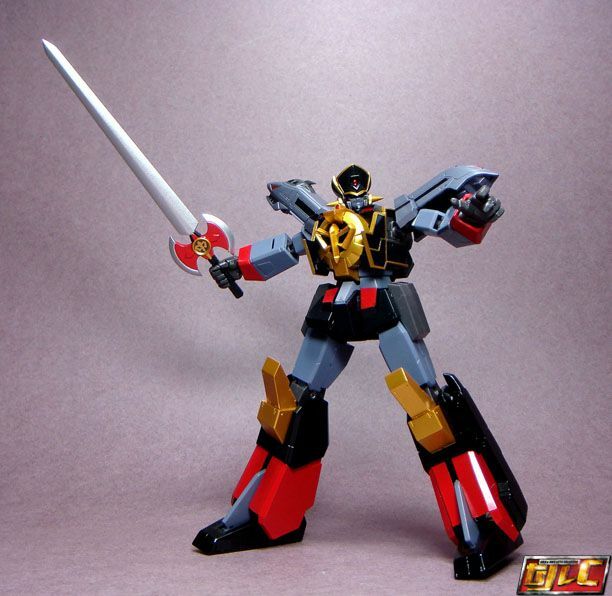 Hi all, here's the review for the Super Robot Chogokin Black Might Gaine. 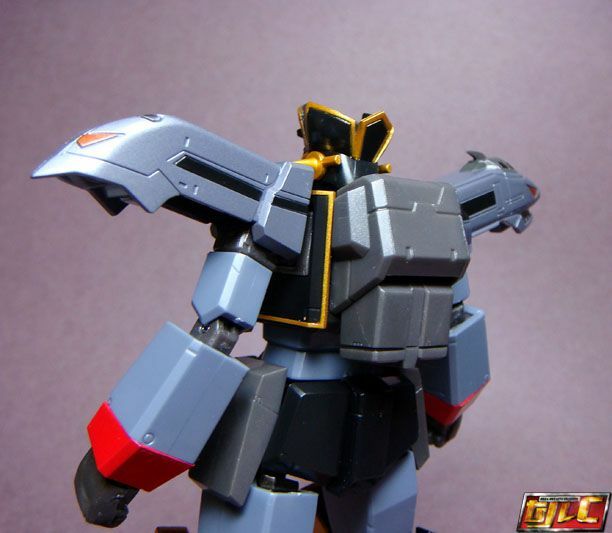 Originally created as an evil copy of Gaine by the criminal genius Hui Kow Lou, Black initially emerged as heroic after being copied "too perfectly" from Gaine. 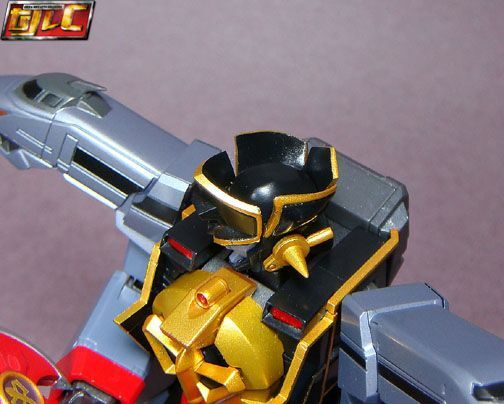 This was later rectified by Hui Kow Low in the same episode by adding a circuit in the form of a red mask over Black Gaine's face. 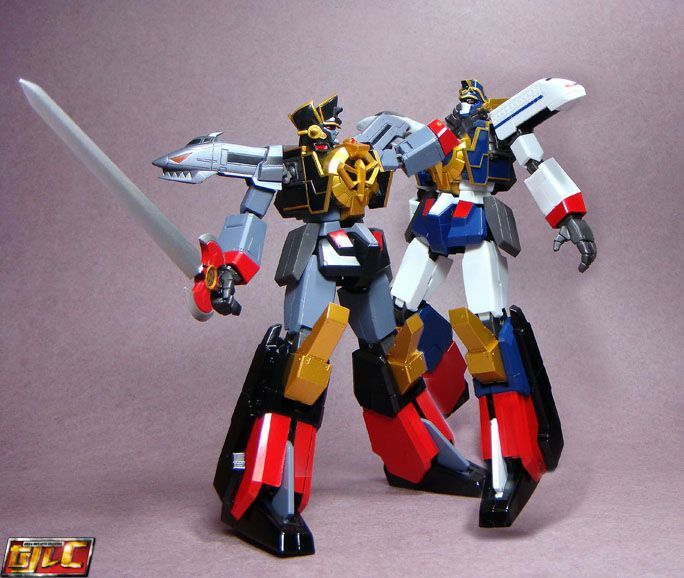 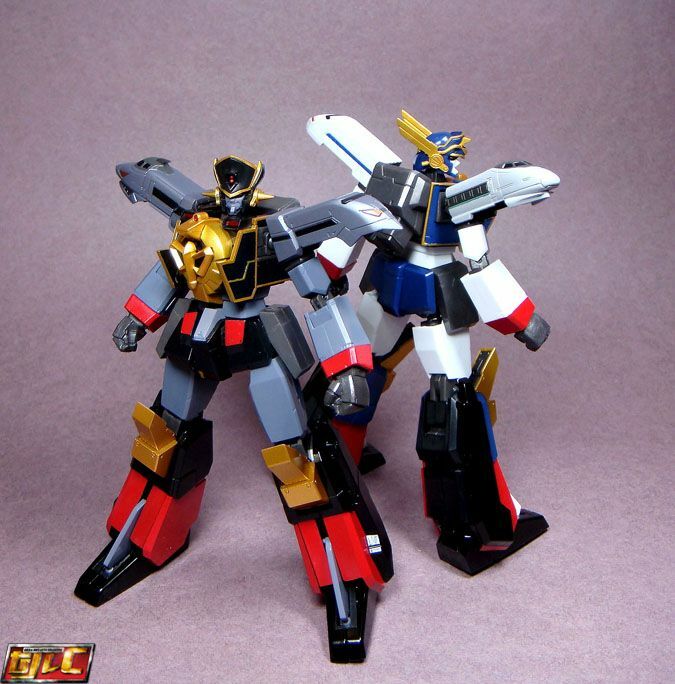 After combining with his own copied parts of the Brave Express, Black Might Gaine is born. 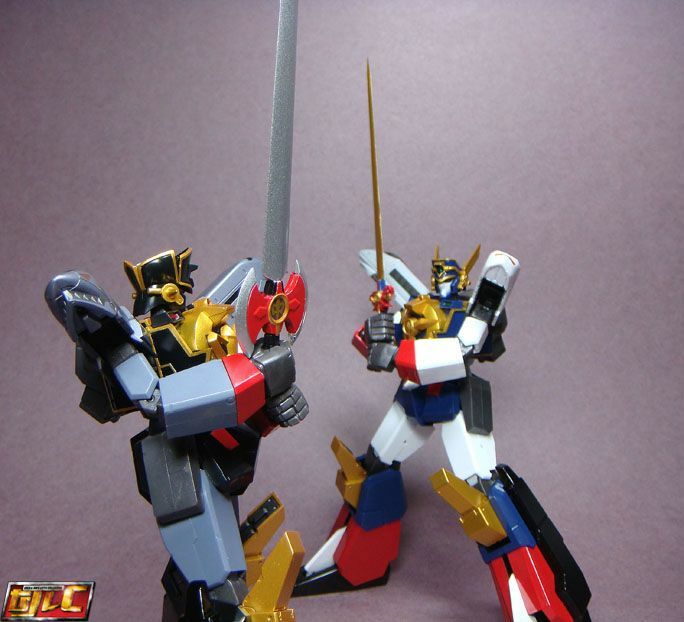 Might Gaine is reluctant to fight his "brother" at first, only to be forced to finally defeat Black Might Gaine to stop his rampage. 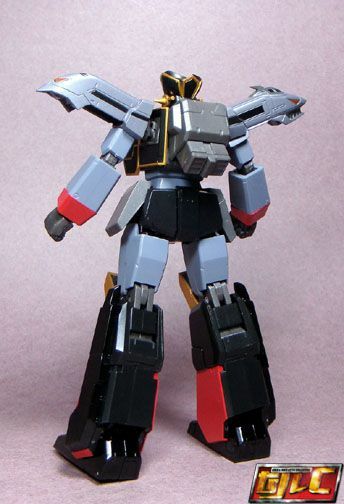 In the end, Black is freed from enemy control but sacrifices himself to save Might Gaine from a bomb planted in the override circuit. 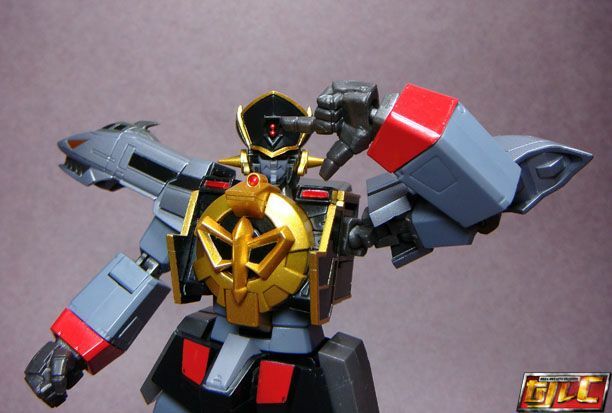 "Carrying murderous thoughts on black wings and glowing the red light for misery, the Devil Express Black Might Gaine, arriving unnannounced!" 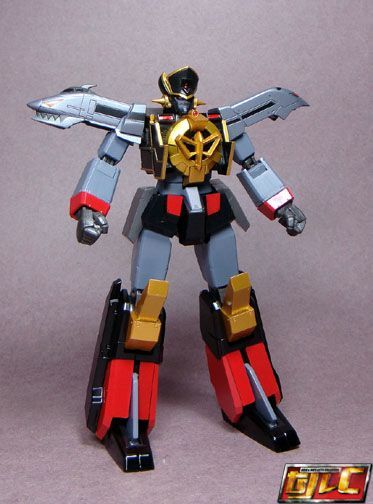 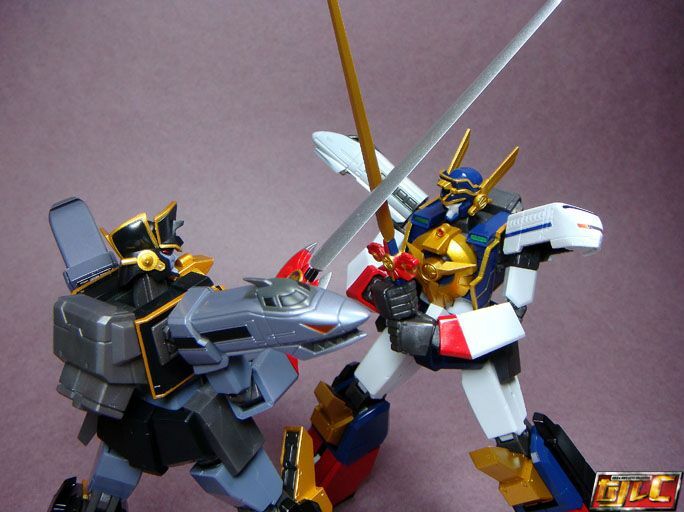 Black Might Gaine's only accessory. 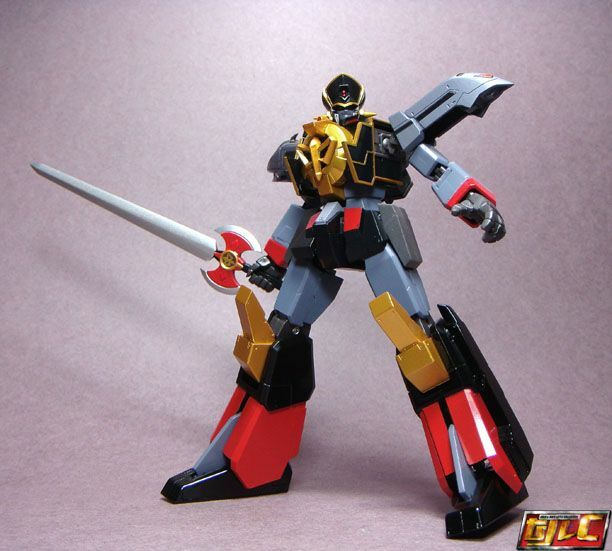 The Black Dourin Ken. 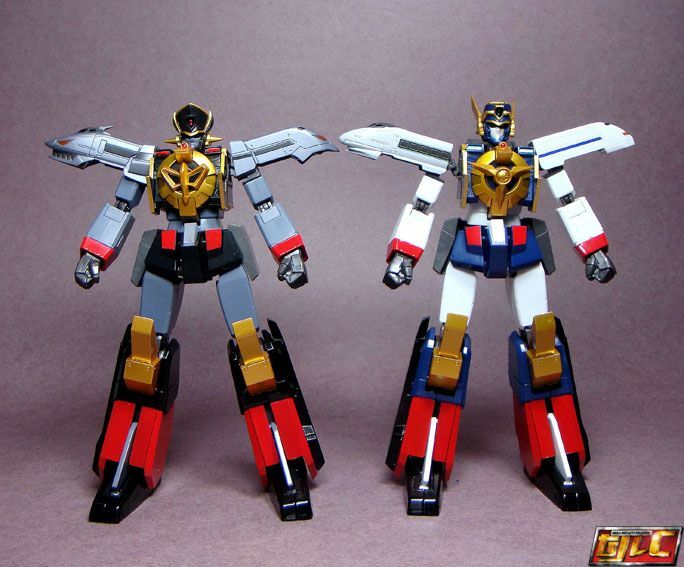 Similar to Might Gaine, the diecast parts are mostly in the legs, feet and groin joints. 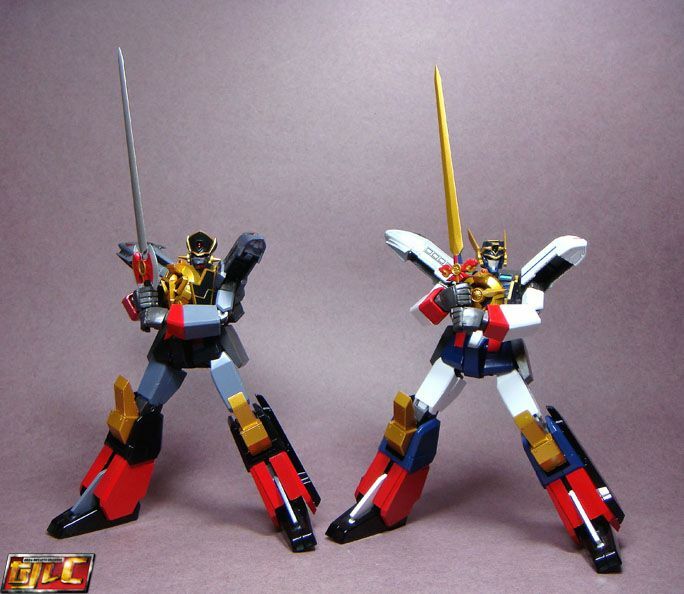 He also has Might Gaine's backpack, with adjustable thrusters. 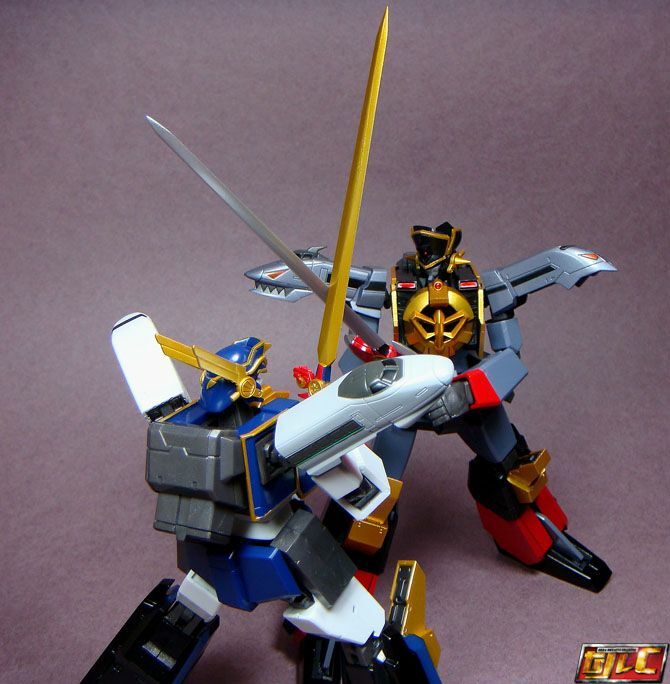 Nope... no "Hover Pileder" here.